Why is the Russian president reinforcing his military presence in Syria? Is it to defend Europe against Daesh [Islamic State] as he has recently said? Is it to sustain a threatened dictator, as Westerners fear? These official objectives illustrate the Russian government's talent for "diplomatic marketing," but should not obscure the structural objectives of Russia, which are less ideological and more defined. Europeans and Americans are worried about the implications of Russia's current military involvement in Syria. The installation of a mobile control tower and the expansion of runways at the military airport in the Latakia district of northern Syria, the landing of 200 marine troops, the deployment of a dozen armored vehicles and attack helicopters, the fitting out of barracks for at least 1,000 soldiers - all these movements at once suggest the direct engagement of Russian troops, added momentum in the arms race between Sunnis and Shiites and a boost to a conflict that has left 250,000 dead and displaced 4 million. These initially discreet and now openly declared initiatives are primarily designed to ensure that a Russian military facility stands against the advance of the front: "a fulcrum of material and technical support" for the Tartus base, granted to the USSR in 1971 and redeveloped by Russia since 2009. Physically modest (two floating docks), this infrastructure is militarily essential to the Black Sea Fleet: it allows its ships to put into port without having to return to Sebastopol and therefore without crossing the Turkish Straits. Faced with the American Sixth Fleet and given the state of Russian-Turkish relations, Tartus together with a military airfield and listening posts this close to the Middle East ensures a permanent Russian presence in the Eastern Mediterranean. From the 2014 annexation of Crimea to the deployment of troops to Syria today by way of a naval agreement with Cyprus in February 2015, Russia pursues an age-old secular defensive objective: ensuring its naval power has access to warm seas. Russia also wants to maintain a vital outlet for its military-industrial complex while its economy is in recession (its GDP dropped 4.2 percent in the 2nd quarter). Syria is a long-standing customer: since 1956 it has signed contracts worth billions of dollars). On average, its exports to Syria are estimated to constitute 10 percent of Russian defense exports. Russia now wants to avoid a repeat of the 2011 Libya scenario, which saw one of its largest customers disappear, and preserve its trade balance while also providing an assurance to potential customers in the region: Russia honors its contracts and is an alternative supplier to the West for sophisticated defense systems. At a time when Russian defense exports to Iran have resumed with a contract for SS-300 PMU1 anti-aircraft missiles, this market signal will be well-received in the region and beyond. Intervening in Syria is also a measure aimed at a domestic audience: Moscow as always seeks to offset its difficulties at home with a rise in patriotism; it also means, perhaps, as historian Thomas Gomart argues, keeping its own jihadists from the Caucuses – all 2,000 of them – far from Russia. Above all, though, it is pursuing abroad its domestic religious and identity politics: promote the Christian Orthodox religion (41 percent of the population) in the face of a strong Russian Muslim minority (15 percent). 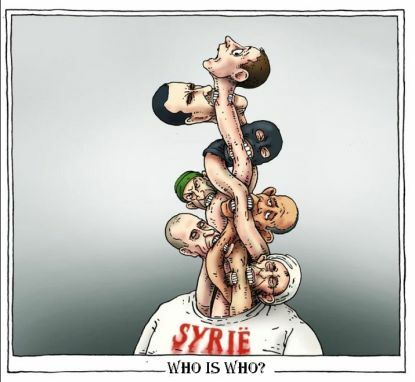 In Syria, although Moscow certainly supports the Assad regime, this is mainly about the politics of Russia. Finally, Russia wants to strengthen its alliance with Iran, which plays a central role in the ground operations against Daesh. It also seeks to garner other international benefits by pointing out the passivity of Europeans incapable of dealing with the causes of migration and taking an honorable antiterrorist role at the U.N. General Assembly. Rather than a weakened Assad dictatorship, Russia wants to encourage the reemergence of the Shiite power in the region. Does Russia want a "crusade" against Sunni jihadism? : Without a doubt - but the commitment of a few hundred Russian soldiers that were requested by Damascus will make little difference in the face of tens of thousands of jihadists. Does the Kremlin want to enforce an "international league" of dictatorships? Perhaps, but the fate of the hugely popular Putin isn't directly tied to Assad's. What Russia wants in Syria is simply to defend its clients, allies and faculties in the region. In brief, in Syria, Russia is defending its national interests for quite a modest cost militarily and financially. Vladimir Putin is, on this occasion, less an ideologue than a "Realpolitiker." 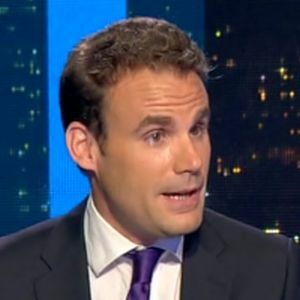 *Cyrille Bret teaches at Sciences-Po University in Paris and co-directs the geopolitical Web site EurAsia Prospective. Le Quotidien d'Oran, Algeria: Faulting Charlie Hebdo or Being Algerian are not Terrorist Acts! Sol, Portugal: A Religious War ... or a Political One? Trouw, The Netherlands: If the Jews Gave up Stoning, Can Muslims Give Up Beheading? Gazeta Wyborcza, Poland: Putin on Poland: Ally of Adolph Hitler? Izvestia, Russia: Victory Day 2015: Hollande, Cameron and Obama won't be Missed! Newsweek Polska, Poland: Has Putin Orchestrated Poland's Eavesdropping Scandal? Elsevier, The Netherlands: Securing MH17 Victims: Dutch Have Elite Troops for a Reason! Ukrayinska Pravda, Ukraine: In Defeating the 'Russian Disease,' Will Ukraine Lose its Soul? Direct Matin, France: Mr. Obama's D-Day Option: Indifference or Interference?